Share The Urban Nerdz's EPK! WHAT IS ORIGINALITY? WHO EMBODIES ORIGINALITY? FOR YOU TO COME UP WITH AN ANSWER YOU WOULD HAVE TO LOOK DEEP INSIDE AND THINK ABOUT THE CHARACTERISTICS AND DEFINITION OF THE WORD WHICH INCLUDES: FRESHNESS, CREATIVITY , NOVELTY , AND THE ABILITY TO THINK AND EXPRESS ONESELF IN AN ABSTRACT MANNER. THE DEFINITION OF ORIGINALITY COULD HAVE BEEN SUMMED UP WITH ONE PHRASE, "THE URBAN NERDZ". THE URBAN NERDZ ARE A COLLECTIVE GROUP OF TWO TALENTED YOUNG MEN WHO COME TOGETHER AND COMPRISE A FUTURE VIRTUOSO IN MUSIC. WINNERS OF BOTH THE 2013 NEW ENGLAND MUSIC AWARDS AND NEW ENGLAND URBAN MUSIC AWARDS FOR BEST HIP-HOP GROUP OF THE YEAR, THE DISTINCTIVENESS THE URBAN NERDZ PORTRAY IS WHAT HELPS THEM STAND OUT FROM TRENDING GROUPS IN MUSIC. BACKED BY A NINE PIECE BAND INCLUDING A DRUMMER, PERCUSSIONIST, PIANIST, BASS PLAYER, VOCALIST, AND A FOUR PIECE HORN SECTION, THE URBAN NERDZ MIRROR THEIR DIVERSE AND ECLECTIC FAN BASE. MR. CAMPBELL (BORN AARON CAMPBELL) WAS BORN IN SILVER SPRING, MARYLAND. GROWING UP MR. CAMPBELL HAD A HUGE MUSICAL UPBRINGING WITH A PLETHORA OF DIFFERENT SOUNDS WHICH ON ANY GIVEN DAY COULD RANGE FROM THE TEMPTATIONS, BOB MARLEY, RUN - DMC TO SADE. THIS WIDE VARIETY AND HIS GREAT UNDERSTANDING OF DIFFERENT SOUNDS AND DIFFERENT GENRE'S OF MUSIC HELPED CULTIVATE AND MOLD MR. CAMPBELL INTO A WONDERFUL STORY TELLER AND AMAZING ARTIST. BEING UNIQUE IN HIS OWN BUT MAGICAL WAY, MR. CAMPBELL ALLOWS YOU TO OPEN YOUR EYES TO HIS WORLD. 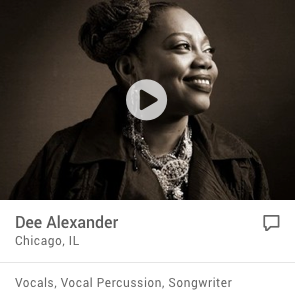 MR. DUBUISSON (BORN KENNY BENJAMIN DUBUISSON) WAS BORN IN BOSTON, MASSACHUSETTS. THE ADVERSITIES AND HARDSHIPS SURROUNDING HIS UP BRINGING WHICH AT TIMES SERVED AS ROAD BLOCKS WHICH HE HAS OVERCOME, HELP WRITE THE STORIES AND HE BRINGS THE VOICE TO CREATE THE MUSIC. HIS MOTHER, A HAITIAN NATIVE LEARNED ENGLISH BY LISTENING TO ARTIST SUCH AS PATTI LABELLE, TINA TURNER, WHITNEY HOUSTON, AND MARVIN GAYE. 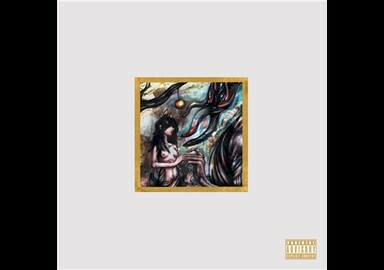 BEING INFLUENCED BY THE ROTATION OF THESE ARTISTS AND THEIR MUSIC HAS HELPED CRAFT MR. DUBUISSON’S ART OF CONNECTING WITH PEOPLE THROUGH HIS WORDS AND EXPERIENCES. 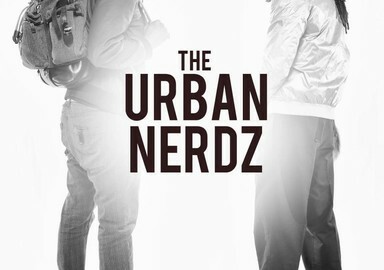 THE URBAN NERDZ ARE TRENDSETTERS, TRANSCENDING THE HIP-HOP GENRE AS IT'S KNOWN TODAY. IN THE AGE OF INNERVATION AND SOCIAL MEDIA ARTIST ARE GOING RIGHT BECAUSE THAT’S WHAT SELLING , APPEALING AND "COOL", WHILE THE URBAN NERDZ ARE GOING LEFT BECAUSE THAT’S WHO THEY ARE AND WHO THEY DESIRE TOO BE. THE URBAN NERDZ ARE WORKING HARD DAY IN AND DAY OUT GOING AGAINST THE GRAIN TO CREATE NEW WAYS TO DISTRIBUTE AND PROMOTE THEIR SELVES TO THE MASSES. WORKING HARD ON THEIR CRAFT AND PUTTING IN THE TIME AND EFFORT TO BE GREAT AND EDIFY THEIR FANS. THE URBAN NERDZ ARE TRULY A LABEL'S BLESSING.